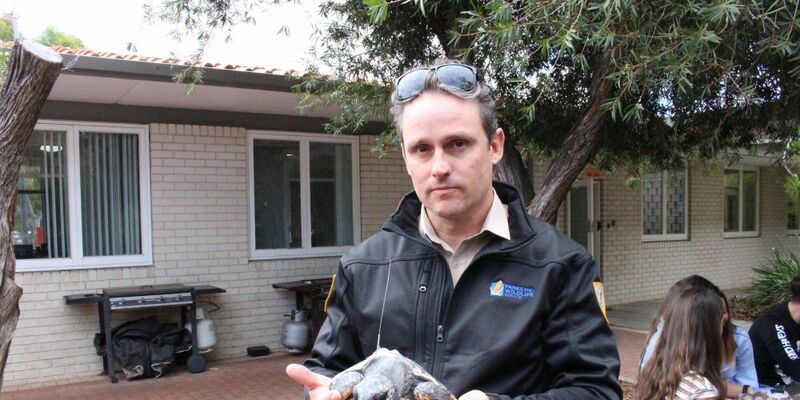 Department of Biodiversity, Conservation and Attractions wildlife officer Cameron Craigie with one of the turtles. A GROUP of endangered turtles will be released into Ningaloo Marine Park tomorrowafter being found washed ashore along the South-West coast. The release of 33 loggerhead turtles is part of conservation efforts to help the species as there only an estimated 1500 to 2000 females known to nest annually in WA. The turtles were among 54 found by community members on beaches and reported to the Department of Biodiversity, Conservation and Attractions (DBCA). 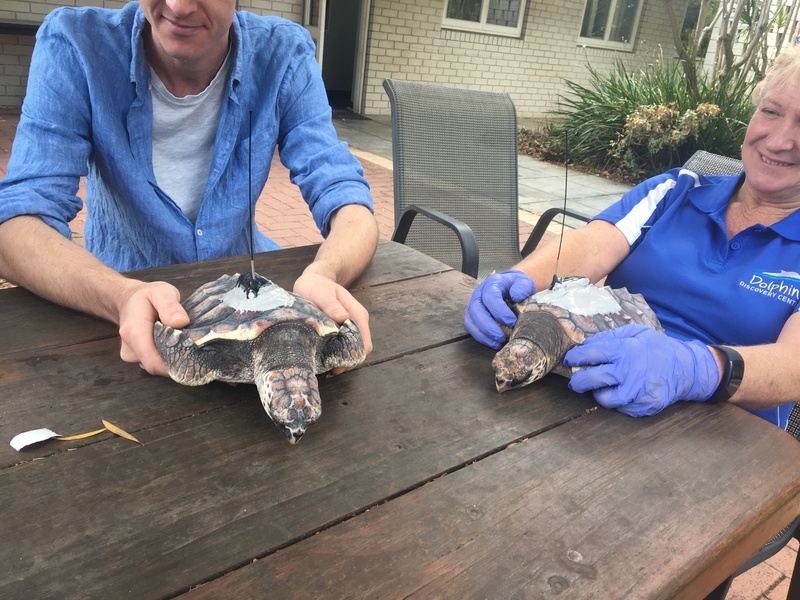 Once reported, the turtles were taken by the Parks and Wildlife Service to Perth Zoo vets for assessment and transferred to two of the State’s turtle rehabilitation centres at AQWA and Bunbury Dolphin Discovery Centre. Some of the released turtles had satellite transmitters attached to track their movements from their release points. Two of the turtles with their transmitters attached. DBCA wildlife officer Cameron Craigie said the point of putting on transmitters on the turtles was to get an idea of their movements. “Little is known about loggerhead turtles from when they hatch and move back into the water but also little is known about the success of rehabbing and whether it is successful,” he said. Mr Craigie said the turtles were found at beaches from Jurien Bay to Esperance. “Some of them were in a pretty bad condition, with moss and barnacles on them,” he said. Up-to-date tracking information will be available to the public via http://www.seaturtle.org.